St Patricks' Dean Healy is tackled by Ross O'Brien of Rathnew. ©INPHO/Laszlo Geczo. 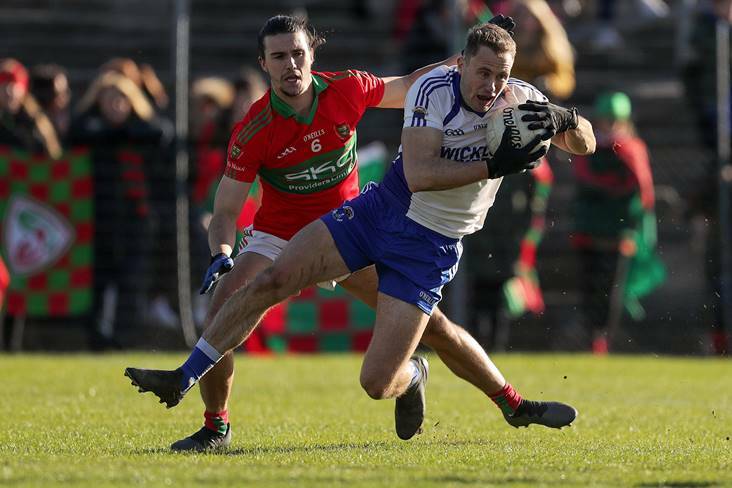 Wicklow footballer Dean Healy is convinced Gaelic football in the county is in a ‘good place’ despite the negative publicity it gets. Healy led his club St Patrick’s to the Wicklow SFC title following last Saturday’s replay win over Rathnew, before they had to play Offaly champions Rhode just 24hrs later in the Leinster club SFC. They ultimately lost that game, but Healy told the Wicklow People that there are some excellent footballers in the county, if they would all just commit, it would make a massive difference. “There’s a lot of negative things said about Wicklow football, but I firmly believe that Wicklow football is in a good place,” said Healy. “Last year at inter-county level, I just wish that everyone would commit. It’s just tough trying to compete when you don’t have the best footballers out on the field.